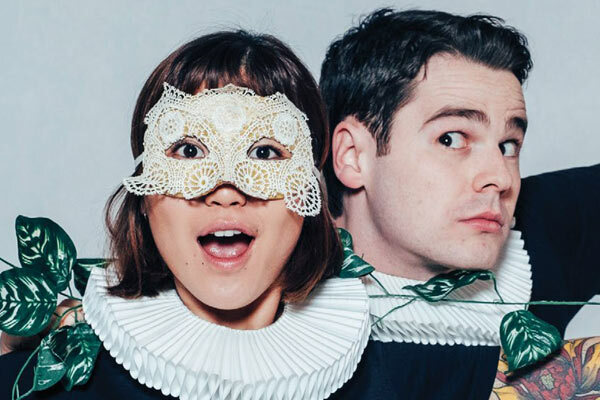 Following the smash-hit success of Bell Shakespeare’s Just Macbeth!, acclaimed Australian children’s book author Andy Griffiths is back with a very silly version of the greatest love story ever told. When Andy, Danny and Lisa find themselves in a school production of Romeo and Juliet, the star-crossed lovers’ journey is derailed in hilarious fashion. Using Shakespeare’s original text and mixing in Griffiths’ beloved characters, Just Romeo and Juliet! is the perfect family-friendly performance that we promise will engage young minds with the story of the world’s most famous romantic coupling. Classic tragedy collides with side-splitting comedy in this entertaining introduction to Shakespeare for young people. This performance is a wonderful way for families and audiences of all ages to enjoy a 50-minute fast-paced and fun production from Bell Shakespeare. The performance on Thursday 11 July at 2pm will be a Relaxed Performance. This is a relaxed, inclusive performance, which makes it suitable for families with a range of needs. A relaxed performance is intended to welcome and be accepting and inclusive of audience members who benefit from a more relaxed environment. This means we ask audience members to be aware of people’s needs to move or make noise during the performance. For people who need some quieter, low sensory time, we will have a dedicated quiet zone in the Riverside Theatres foyer, where a support specialist will be on hand. We will make small changes to the lights and sound so that the performance is more accessible if you have sensory sensitivities.